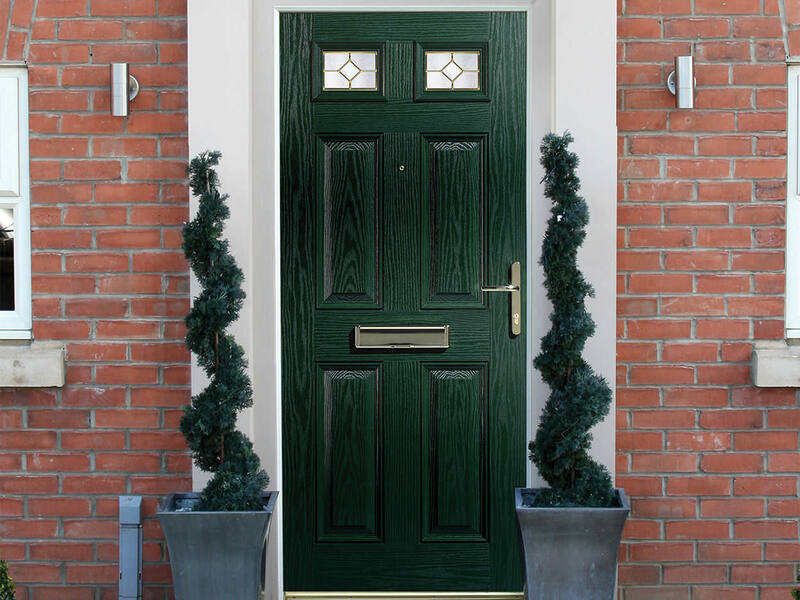 Composite doors with Starglaze offer the beauty and mystique of traditional timber, while providing a host of contemporary benefits that bolster the natural weather resistance of the material. Here at Starglaze Windows, each of our composite doors is specifically designed to exude all of the style and tradition associated with the classic timber look with the contemporary benefits that provide modern doors with the advantage. Together, they form the composite door of the future, the perfect choice for any modern homeowner. The composite door remains one of the number one choices for customers looking to update their existing home or complete a new one. The popularity of composite doors stems from their sheer versatility when compared with other door types on the market, combined with the status they exude. A composite door is a smart, traditional choice that manages to look glamourous but not flashy, and is often the first thing that visitors will notice upon arrival at your Grantham home. That’s one of the reasons why we offer a host of customisation options when it comes to your new composite door. Thanks to the marvels of modern engineering, the production of uPVC has increased in quality over the years. This allows us to infuse each of our composite doors with exceptional security, fantastic thermal efficiency, all while maximising the durability of the product. The combination of this classic style along with superior uPVC materials and manufacturing results in a product that looks fantastic all throughout the year, as well as for years to come. Specifically, we utilise GRP (Glass Reinforced Plastic) skin in order to produce the natural timber effect. This production process also means that we are more than capable of choosing the colours and finishes that go into this process, which means that your product is highly customisable when compared with older doors. When you purchase a composite door with us, you can get one that matches the aesthetic style of both you and your home. We understand that when it comes to composite doors, security is key. A front door is the primary entryway into your home, and it stands to reason that you’ll want such a door to offer maximum security when it comes to protecting your Grantham home. That’s why we utilise the strongest materials in our rigorous manufacturing process to produce a uPVC product that is structurally sound and durable in the face of wear and tear. Furthermore, we also utilise extensive multi-point locking systems that are imbedded into the body of the product itself, consisting of two hooks, rollers, a deadbolt and a soft latch. If you still want further security then we are also able to accommodate, and have a number of Secured by Design accredited products that can be fitted to your composite door, such as laminated glass or anti-snap and drill barrels. All of our composite doors are also 24mm Kitemarked toughened sealed units. The fantastic materials we have on offer also act to protect both the composite doors and your homes themselves, utilising state of the art technology to reduce the amount of heat escaping from your home. The aforementioned GRP skins combined with the 44mm thick insulated door slabs act to keep heat in your home, reducing your energy bills dramatically. Furthermore, this contributes to reducing your carbon footprint, aiding the environment as well! All of this is provided in a set of composite doors that offer ultimate durability and longevity. Our products contain an innate durability that is bolstered during our intense manufacturing process. Built upon a sturdy structural frame, a high-intensity foam core acts as an excellent physical insulator, keeping your composite doors almost impenetrable. When you choose composite doors with Starglaze Windows, you choose a door that’s built to last. 60% more structural integrity than standard timber doors. If you decide to complete or renovate your Grantham home in style, then get in touch with our specialist team today by calling 01522 512020. We’ll give you superb composite doors prices, and our friendly team are always happy to offer competitive front door prices or can always answer any questions you may have about composite doors and our other products. Alternatively, if you would prefer to get in touch online then you can always fill out our online contact form, which we will then respond to. You can also drop us an email at sales@starglaze-windows.com if you prefer, and then finally if you want to be really efficient you can try our online quoting engine, which can give you a personalised price in minutes!